I’ve read quite a lot of stories on here about head gaskets failing on the gen3 and I’m really interested in what seems to be the chief cause behind it. Is it the EGR cooler? Or something else? By my thoughts if the engine is well serviced, looked after, and driven within its normal tolerances the head gasket should, under normal circumstances, Last the lifetime of the car. My gen3 now has 142,000 miles on it and I intend on keeping it for a while yet but if I can avoid having to do a head gasket then I will do so so any advice here would be greatly appreciated. Mendel Leisk, m.wynn and mjoo like this. 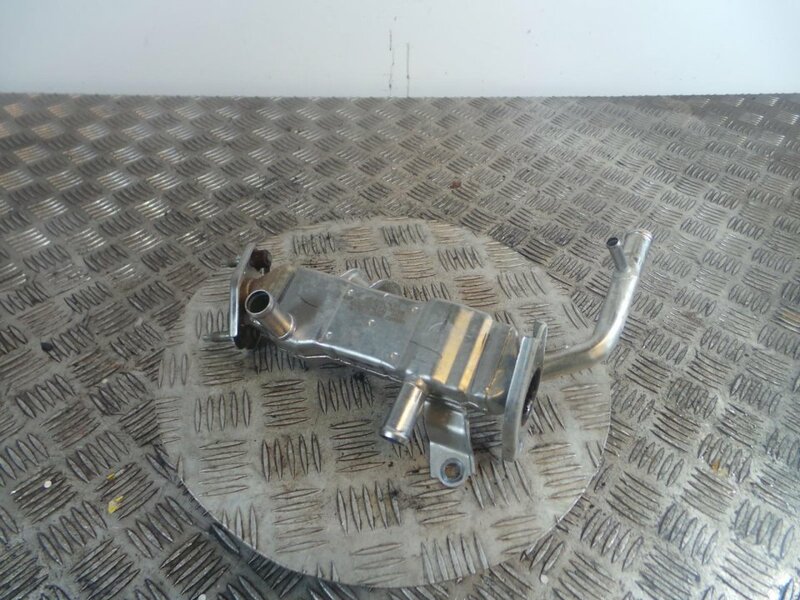 Blockage anywhere along the EGR circuit - EGR cooler, valve, pipe or intake manifold. Regardless of where the blockage occurs, the end result is detonation/high combustion temps and eventually, HG failure. If your Prius is an oil burner, the cooler may tend to be the first part of the circuit to become fully restricted. With a non-oil burner it may be the intake manifold. The circuit is a design issue whether the car burns oil or not. I agree with you that the HG will likely last a Toyota lifetime if the EGR circuit is kept free breathing. At 142k, it's definitely time to pull and clean the entire circuit and install an oil catch can if that's your thing. RMB, Mendel Leisk, JC91006 and 3 others like this. I’ve got a cleaned egr cooler installed and the original is now clean and ready for install in about 50,000 miles. RMB, m.wynn and Raytheeagle like this. Do the intake manifold, EGR pipe and valve for sure. No saying for sure where the worst of the blockage is. Intake manifold pull is child's play compared to the EGR cooler, you'll knock it right off in a couple of hours. Regarding the oil catch can, if the car burns oil, I'd strongly consider it. Awesome job having the spare EGR cooler ready for rotation ..
RMB, JC91006, Jayw13702 and 1 other person like this. Having a clean spare cooler is a great move . I agree with @m.wynn with get the intake manifold clean . Having that circuit clean (doesn’t need to be spotless but free of blockages), prevents channeling of the hot combustion gases . Since gases take the path of least resistance, a fouled egr cooler will have less surface area available for the gases to cool prior to entering the intake. Then if there are sections of the intake that are plugged, now you have some sections seeing hotngasrs and some not seeing them at all . Thermal imbalance is my guess for the head gasket failures. But clean the entire circuit and plan on a frequency . Did our 2010 at around 120 k miles and plan on going back at our circuit at around 200 k miles when the spark plugs need done .  Montgomery, Mendel Leisk, m.wynn and 3 others like this. Did our 2010 at aroma d 120 k miles and plan on going back at our circuit at around 200 k miles when the spark plugs need done . Is there any sense on whether this issue has been corrected with the Gen 4? Rmay635703, Mendel Leisk and Raytheeagle like this. Too few miles yet to know for sure. I am curious and wanted to know myself though . @soldierguy is now over 80 k miles and in my geographic area. I am willing to help pull the egr cooler and investigate as I will need to replace our 2010 with 168 k miles at some point, so I’d like to see what the differences are . But to get information to these, we’ll need some real world data . But willing to help if the opportunity presents itself . RMB, m.wynn, Prodigyplace and 1 other person like this. Would be awesome data if @soldierguy were up for it . Improvements to Gen 4 EGR seem logical to me. I'm sure Toy knew full well of the turd gen mess during G4 development and am hopefully confident they got it right this time. But cooled EGR is tricky to get right as many diesel owners can attest. 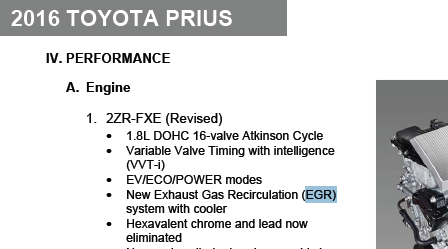 Improvements to Gen 4 EGR seem logical to me. 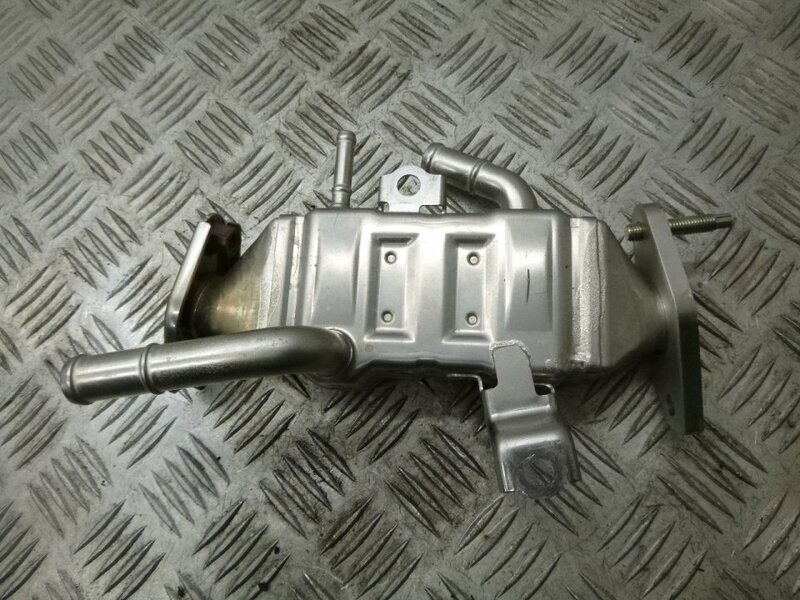 And I believe it's been noted that the EGR/Exhaust connection has been moved downstream of the catalytic converter. Or at least it's evident in some pictures. Toyota believes in continuous improvement . Is the egr system an improvement over the thermos of the gen 2? Some would argue yes. Curious of real life data on the Gen4 though . The Gen 4 EGR cooler seems to have been made with a bigger cross section than the one on the Gen 3. So perhaps harder to clog? First picture is Gen 3, second is Gen 4. Danny3xd and Mendel Leisk like this. Hard to tell without a scale in the picture, but judging from the end flange sizes in the pictures, maybe the 4th gen's shorter too? Just a quick thanks to all who help us all by sharing and taking the time! I wish I could post more pictures and a scale! The Gen 4 EGR cooler was discovered by accident on eBay, so the pictures come from that. At least you can see that they are not easily interchangeable! I’d love to help, but between work and life, I just don’t have the time to dig into anything under the hood. All I can do at this point is say that I’m at about 87,500 miles, and I’ve had no issues....no check engine lights, no poor running, no oil usage, my fuel economy has remained consistent (except for the seasonal downturn due to colder temps and winter blend gas)....my Eco just keeps going, and going, and going. Without a doubt, it’s been the most trouble-free car I’ve owned, with the lowest operating costs (fuel plus maintenance). Haven’t even had to do an alignment on it, and it still tracks as straight as the day I bought it. Montgomery, orenji, m.wynn and 5 others like this. I second this. I am at nearly 60,000 on my Gen 4 Two. The only issues were failure of the 12-volt accessory battery at 35900 miles (replaced under warranty), and a flat front tire due to nail puncture. When I took the tire to the shop, they refused to fix it (too close to the edge). I bought a plug kit at Tractor Supply and fixed it myself, and ordered new tires off Amazon, which are still in the garage. I think there is at least 30,000 mile left on the fronts. scona and Danny3xd like this. That got me into plug repair too. I asked the tire tech who had taken the tire off and put it in the tank to find the leak to put it back on the car once he told me he wouldn't fix it. He got a little irritated and asked me, "What? Ya gonna put a plug in it?" I said, "What would you do? Pay nearly $300 for new tires now, or put a plug in it?" He said, "Yeah, I'd plug it ..."
Montgomery, Danny3xd and audiodave like this. I’m sure with 2 extra sets of hands we could make it go quick . I know the information would be a great data point . I’m willing to help reduce the downtime . Prodigyplace, SFO and m.wynn like this.